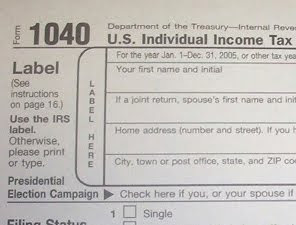 I recently read an article in which the author suggested (correctly) that if you are due a tax refund, you should file your taxes as soon as possible after the beginning of the year. If you owed income taxes, you should wait until April 15th. The premise reflects the time value of money. Why leave the money with Uncle Sam when you could be earning interest on it? This is correct as far as it goes, but it misses a larger point. Assuming you have the willpower to keep money in a savings account untouched until April 15th, here’s a better way to handle your taxes. Complete your taxes for the past year as early as possible (so if you do have a refund you can claim it) and at the same time estimate your taxes for the current year. If you expect them to be more than the previous year’s taxes, then arrange to withhold 100% of your taxes for the previous year. If your taxes for this year are going to be less than last year, make sure to withhold at least 90% of your expected taxes. If you withhold these amounts you will pay the minimum required during the year in order to avoid a penalty for underpayment. Make sure to periodically add to your savings account the amount you will owe at the end of the year. For example, if your 2009 taxes were $10,000 and you estimate your 2010 taxes will be $12,000, set your withholding to assure you withhold at least $10,000 during the year (say $833.34 a month). To accumulate the $2,000 you will need to pay on April 15, 2011, save at the rate of $167.66 a month. If you estimate your 2010 taxes at only $8,000, you could withhold as little as $7,200 (making sure to save the other $800 during the year). However, you need to be careful when you use the 90% rule that you don’t accidently underestimate your taxes. If it turns out you owe $8,100 and only withhold $7,200 you will be subject to an underpayment penalty. If you are employed, you can specify a specific amount for your employer to withhold from each paycheck either by taking a greater or lesser number of exemptions than standard or through adding an additional amount each paycheck. Many HR employees don’t know you can do that, so you might have to educate them. If, however, you are the kind of person who is tempted to spend the money you should be putting aside to pay for taxes (you know you can find the money later when the taxes are due) then please don’t follow my advice. Make sure to overwithhold your taxes and get the refund each year. You’ll be happier that way. But if you are disciplined in handling your money, then change your way of thinking about tax refunds now. It hardly makes a difference with the very low short-term interest rates we now enjoy, but they won’t always be the norm. If you change your habits now, they’ll be in place when high interest rates return again.